The Winter period is one which poses the same question every year to our customers; how will the snow and the ice affect my garden design? Despite the differing factors between each and every unique design, there are many ways to give your garden that extra fighting chance from the winter and its harsh weather. Plants suffer from the raw weather in the same way which we do, they find it cold and difficult to find warmth suffering from exposure to the inclement elements. This highlights the importance of attempting to protect plants, which can be done by covering the plant pot in bubble wrap as a form of insulation. This maintenance can be enhanced by moving the pots closer to the house wall, which will give off extra heat, reducing the possibility of damage to the cell wall. However, when attempting to defrost a plant it is of great importance that it is not done so quickly, as the transition in temperature can rupture the cell wall; plants which are facing the sun often die because of ruptured cell walls once the cold weather has set in. 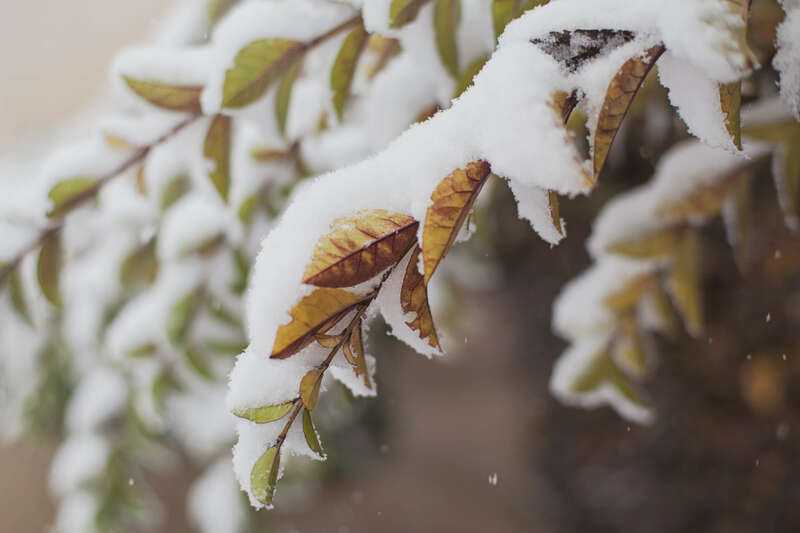 The weight of the snow also causes defection in the growth of the plant and should be removed immediately as a means of protecting branches to snap, a damaging consequence of the snowy season. A frozen plant or one which has had snow laid upon it for too long is obvious to spot, even from the warmth of your house. They become limp, blackened and a distorted shape becomes apparent. Snow should also be removed from the top of your conservatory if you have plants sheltered within it through winter in order to let the light in, allowing the opportunity for growth to remain. Another popular garden design, is the installation of ponds, It is important to continuously ensure that it has not frozen over, especially if you have fish within it. Fish require oxygen and a layer of ice acts as a glass ceiling to them. We suggest that you continue to run your water features through the winter months, as a means of maintaining a section ice free. Outdoor Creations offer maintenance services in the approach and throughout the winter months promoting the belief that prevention of damage is far more advantageous than reduction. Especially as we see the cold season as preparation for the spring to follow. So if your worried about the elements and its effect on your garden, give us a call. Previous post Landscaping Your Garden Next post Is artificial grass as good as the real thing?